Designed as an alternative in a city that thrives on 24/7 energy and a spirit of excess, our calming suites reflect a simple, yet sophisticated vibe where you can hit the pause button, unplug from electrifying nightlife and relax. Surround yourself with contemporary decor, chic furnishings, plush bedding, and a crisp white palette enhanced with playful pops of color. 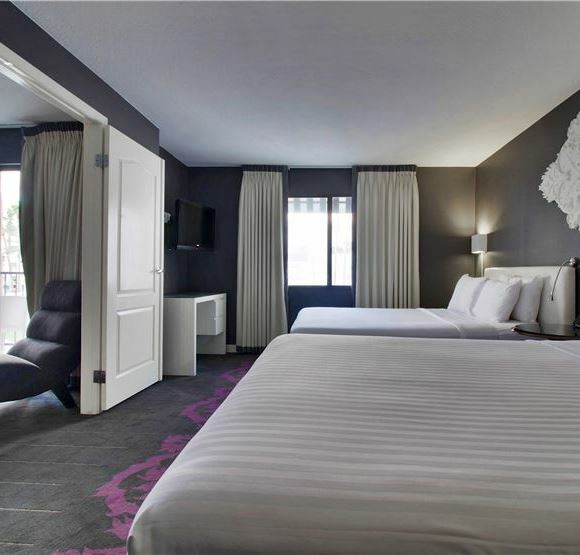 Serene surroundings meet modern convenience with complimentary Wi-Fi, flat-screen televisions, and premium cable channels. Kick back on your private balcony or patio to soak in relaxing views of the desert inspired gardens and sparkling pool. 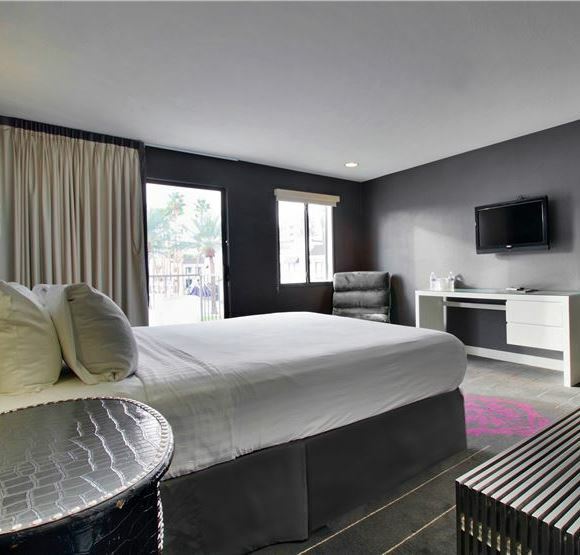 At Serene Vegas, you can escape the flashy glitz and heightened stimulation of the city without leaving it all behind. 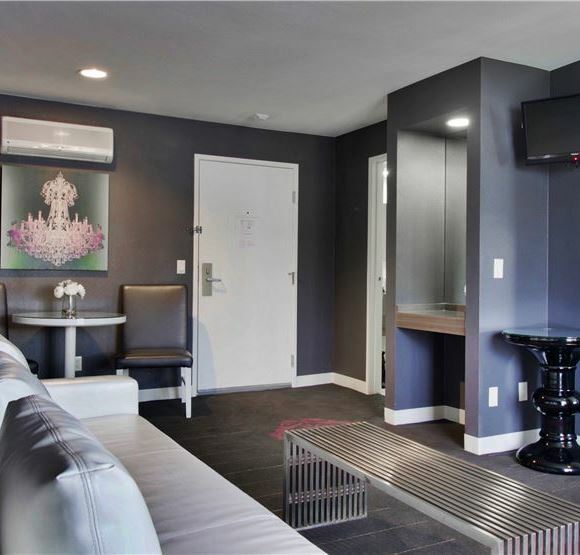 Enjoy privacy and comfort in our suites that include a spacious living room, a flat screen TV, complimentary Wi-Fi, and a separate bedroom with a plush king bed.